Our focus is to ensure our customers have access to the parts they require for the optimum maintenance of their aircraft and we understand the role we play is critical to your operations. We strive for maximum efficiency and reliability in all that we do and provide the assurance that we will be there when our customers need us. Our industry expertise is second to none. Lead by Craig Jones, Commercial pilot and licensed aircraft engineer, our friendly experienced staff are highly knowledgeable and trained to interpret of the IPCs. We operate in accordance with a stringent quality manual approved by the Civil Aviation Authority. With our new purpose built Head Office in Taren Point, we have a dedicated Warehouse facility with a Part Inspection Workshop and Distribution Office to ensure efficient inventory management of our over 11,000 product lines we stock. CJ Aerospace provides same day order processing for SOH and fast AOG supply support. Conveniently located 20 minutes from Kingsford Smith Airport, this allows the fastest transit times to and from the USA and EU. 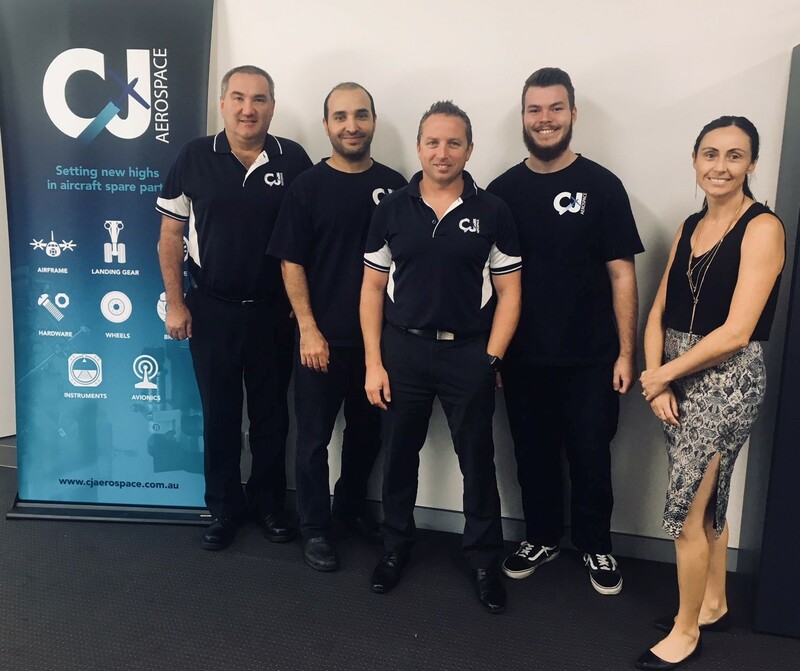 CJA are always looking for ways to stay ahead of the pack. Our state of the art inventory database system that helps us keep track and deliver the parts you require faster. CJ Aerospace is a proud member of Aviation Distributors and Manufacturers Association (ADMA) the association for distributors and manufacturers of aviation parts, components and supplies.